It’s wonderful that point-and-shoot cameras have gotten so small in recent years: They weigh less, pack impressive specs, and are compact enough to take everywhere via purse or a pocket. The only problem with these cameras is that the tinier they get, the more difficult they are to handle, particularly if you have larger hands or fingers. 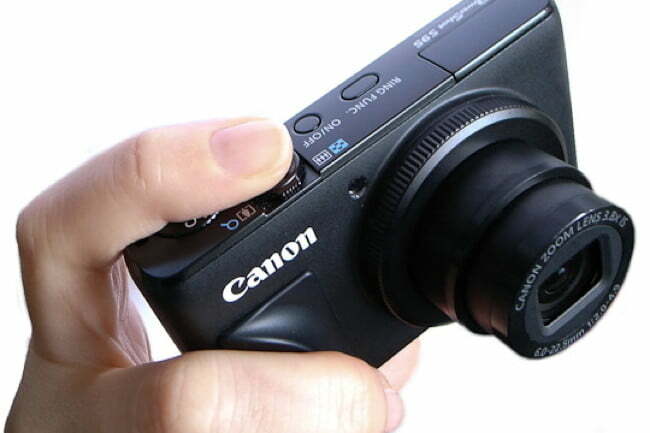 The buttons get smaller and smaller, and as thin as the cameras are, they are not exactly made for optimum grip. Flipbac Camera Grips ($10 each) are here to help out users with a slippery grip on their itty-bitty point-and-shoots. The grips are made from silicone and have a sticky 3M back that will adhere to your camera without leaving any residue when removed. The small grips come in three different styles, inspired by the designs of the Canon G12, Panasonic GF2, and Samsung TL500. The squishy Flipbac Camera Grips will give you a much better hold on your little camera and even allow you to easily shoot with one hand.